Quinoa Cookies that are vegan and gluten free. YES. I am always thinking of what I can add to my cookie recipes to make them healthy enough for breakfast. That is where these quinoa chocolate chip cookies come in. Who wouldn’t want cookies for breakfast? 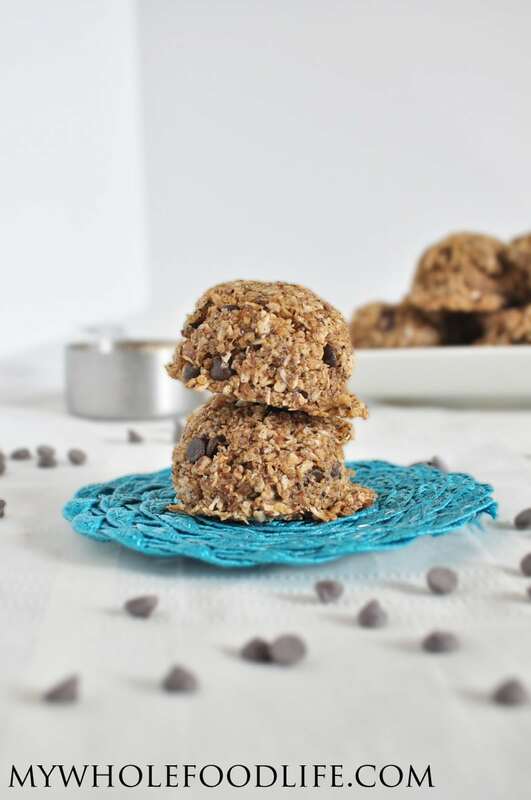 Since these quinoa cookies are packed with protein and fiber, they should keep you full for quite some time. Quinoa is a plant based source of complete protein. Mom win. I added chocolate chips to my cookies, but you can also use dried fruits if you like. I think chopped dates or raisins would be great in here as well. If you wanted to bump up the protein a little more, you could add some hemp hearts or chia seeds. These quinoa cookies are vegan and gluten free. I hope you enjoy them. A cookie healthy enough for breakfast! In one bowl , mix the dry ingredients. Place the bowl of dough in the fridge for about 15 minutes. Let the cookies completely cool before removing from the baking sheet. You can probably freeze these as well.